Be careful when using the word vintage, though. It might attract a flock of hipsters. If this one doesn't hit you right in the childhood, you have some catching up to do. Maybe the Orbit lady will show up? You might want to skip the tumbleweed. For the moms-to-be who are literally going to go into labor any second now. Because who doesn't like breakfast? Keep it classy and avoid talking about the pink elephant in the room. Literally. For those of you who want to "wing it." The best way to be like, "IT'S A GIRL. THIS IS GIRLIE." Make sure everyone talks in that old-fashioned radio voice. Just . . . you know, make sure you don't put your guests to sleep. 19. Welcome to the Jungle! 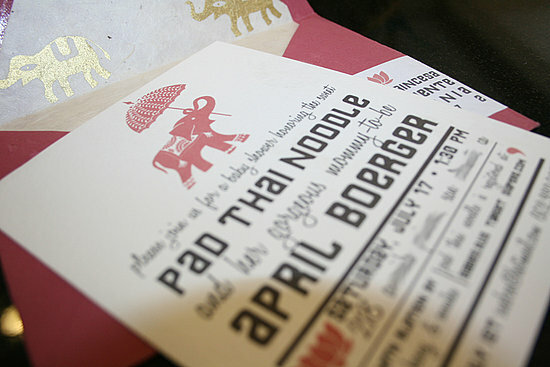 Pad thai? More like RAD THAI. For those experienced moms-to-be who want to literally have a shower. Here's hoping it doesn't actually come out with a mustache! Don't pretend like you didn't love those touch 'n' feel books. Probably the most successful LDR we've ever seen. To see even more incredible baby shower themes, head over to POPSUGAR Moms".